I like to read blogs as a way to relax and unwind and I came across 10 Myths about Introverts. I would like to give create to the author, but I am not sure who the author is but the user that posted it is Stealth521. As I was reading this post I thought "Wow this so discribes me to a T". Incase you didn't realize it I am very much an introvert. I find peace within myself and think a lot. Some times the voices in my head have really good ideas. I also like to solve problems or puzzles. Give me a challenge and I thrive at trying to solve it. Below is copy of the post I stumbled upon. Today we started our recordings in front of the green-screen. My Social Studies classes are currently studying Ancient Greece. The 1st part of our Ancient Greece project was the Greek Language and students had to create a name tag of their name in Ancient Greek writing. Then over Spring Break they had to pick a project to create. I had several from which they could pick from. They not only had to make the item but they had to do some research about the item they made. They were required to write a paragraph or two describing their project and the facts they found out about it. They were also required to use Bibme.org to cite their resources. When we returned from Spring Break my students were then instructed to take several photographs of their project. They are also required to record themselves in front of the green-screen talking about the project they picked. We will take their green-screen recordings and overlay them on top of the photographs they took, so it will look like their project is showing behind them. We will use their video to make an Augmented Reality project that will also include their name tag and their presentation over Ancient Greece. We will hang their name tags on the wall with instructions on which app to use to scan and see the Augmented Reality. We are just starting so I will have tips and tricks for you later after I figure out a few things. I recently attending the MACE 2013 conference in Manhattan, KS. One of the session I attended was Digital Media and the use of Green-Screens and Digital Storytelling. During Spring Break I took a portion of one of my classroom walls and painted it green. 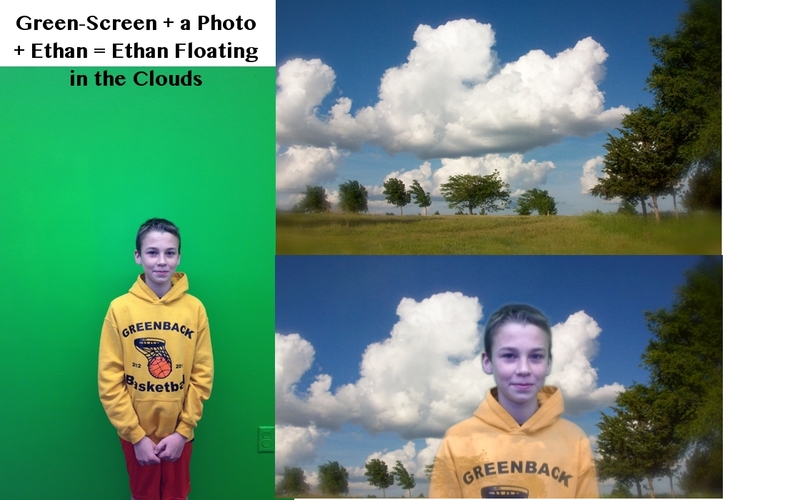 My son Ethan had to be my 1st victim, I mean volunteer to demonstrate the use of a Green-Screen. Using iMovie I made a 50 second clip putting Ethan in various scenic photographs. You can use still photographs or video clips and overlay on top of either another photograph or video clip as long as your main subject is in front of a green or blue screen. 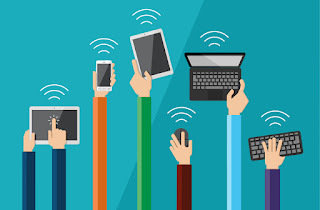 I teach my students how to draw using Google Draw. This nine weeks they will be working on a creative writing project were they will use Google Draw to illustrate their story. Once they are done with their story they will tell their story infront of the Green-Screen. 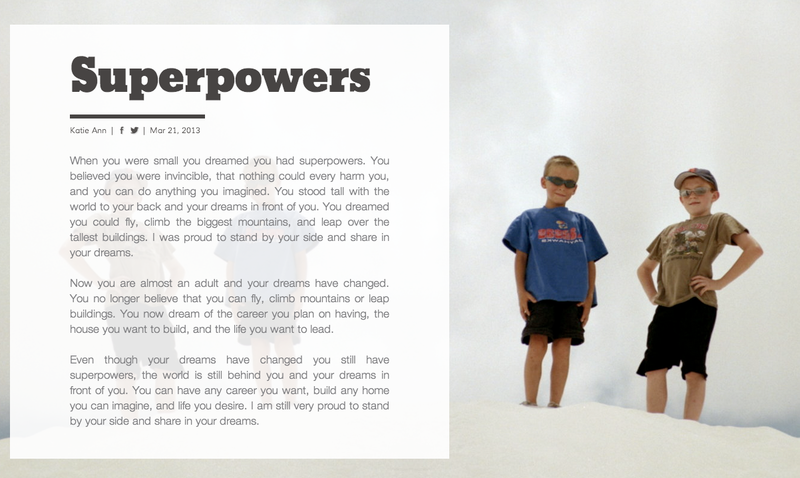 I will them show them how to overlay their video of them telling their story on their illustrations. My vision is to have my students become apart of their story. 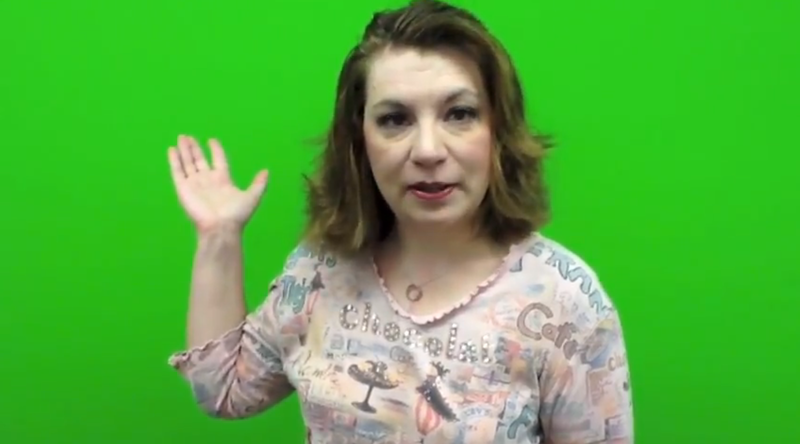 If you are wearing green don't be in front of the Green-Screen. Use a lot of light to get rid of shadows. Turn on Advance Settings in iMovie. Pinterest is wonderful for sparking ideas. I really like looking through Pinterest to see what other people are making, baking, or saving for later. I have board in Pinterest of some of things I've made thanks to other people either creating and sharing or finding it and saving it for later. For Easter I saw that someone made a wreath using plastic eggs. I spent $2.00 on a bag of medium plastic eggs and $1.00 on a bag of small plastic eggs. 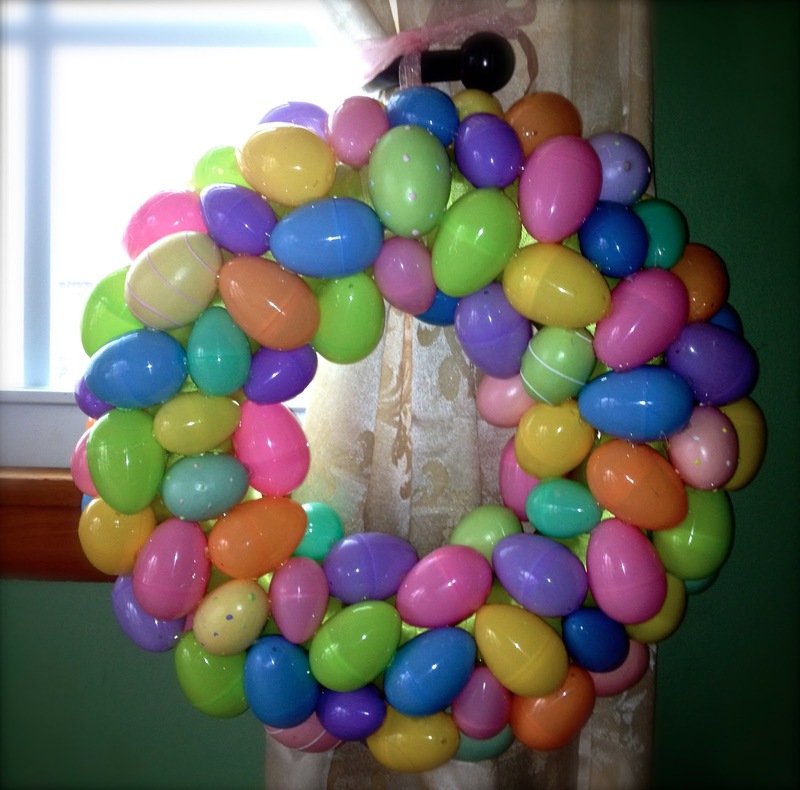 A hot glue gun, an unfinished wreath, and 45 minutes later I had this cute Easter Egg Wreath I can hang in my classroom. Follow people in Pinterest that have the same interest as you. Share what you are making, baking, or saving. Make sure the link you pin is not broken.